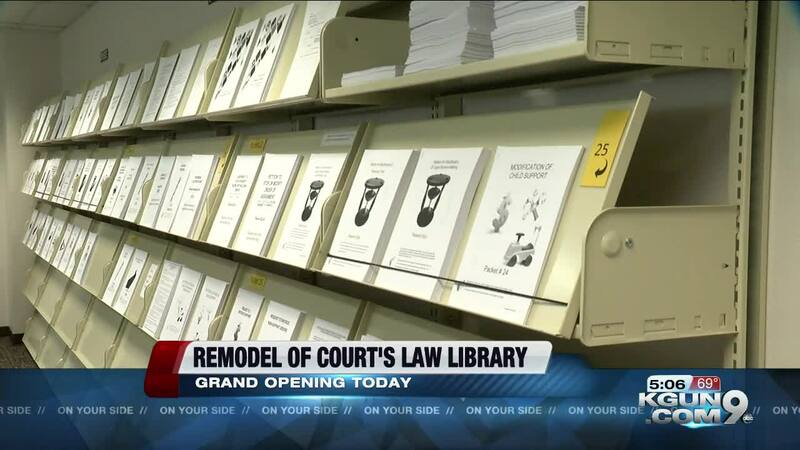 TUCSON, Ariz. — Pima County Superior Court's law library and resource center is newly remodeled, and, to celebrate, the court held a grand opening Friday afternoon. The renovation began in March of 2018. Part of the remodel includes a large information center that has computers to offer legal resources. Guests can use the printers and copiers, and the cost is 15 cents per page. There are also cubicles, reference materials and updated conference rooms. The center is open Monday through Friday.